Participants: Those who are interested in writing or designing Chinese characters are welcome to contribute your works. Content requirements:The subject of poster should be Chinese characters which can be designed according to their meanings, glyph structures or any other forms of Chinese characters and presented in the form of calligraphy or painting. Participants may only present one or two posters. The work shall be larger than A4 paper size. The style and theme of the works are not limited. Please submit your work to the teachers of the Confucius Institute in the place where you are located. All the posters will be collected by the headquarters of the Confucius Institute at Vilnius University on a regional basis. There will be 1 first prize winner, 2 second prize winners, 3 third prize winners and several excellence prize winners. The final results of the competition will be announced in early March, and the Confucius Institute will issue certificates and prizes to the winners. The winning works will be exhibited together with more than 100 pieces of works in the “2019 Chinese Character Poster Design Invitational Exhibition”. Time for submission: February 1st,2019– February 25th,2019. Contact person: Ma Haiyan, phone number: 867454607. 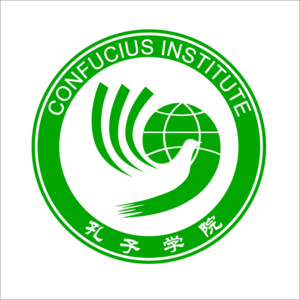 Sponsor: Confucius Institute at Vilnius University, Lithuania.